I have a special interest in vulvar conditions and their management. This includes skin conditions such as vulvar dermatitis, Candidiasis (thrush), lichen sclerosis and lichen planus. I also provide management options for vulvar pain (vulvodynia). I am a member of the Australian and New Zealand Vulvovaginal society (www.anzvs.org.au). I have a wide referral base as this is a unique area of special interest. I also see paediatric patients diagnosed with lichen sclerosis. 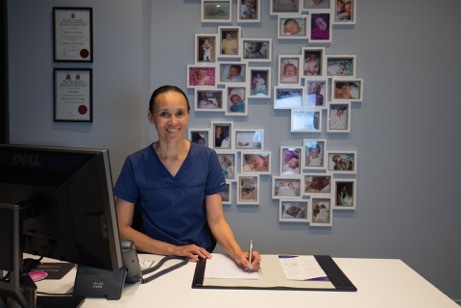 I have gained extensive experience in this area since establishing the Vulval Clinic at the Royal Brisbane and Women’s Hospital in 2003. This experience and expertise allows me to help patients with these often complex and multifactorial conditions. Providing relief from often distressing symptoms is a very rewarding area of my practice.